This gentleman complained of a wide ball-like nasal tip that tended to draw attention to itself. 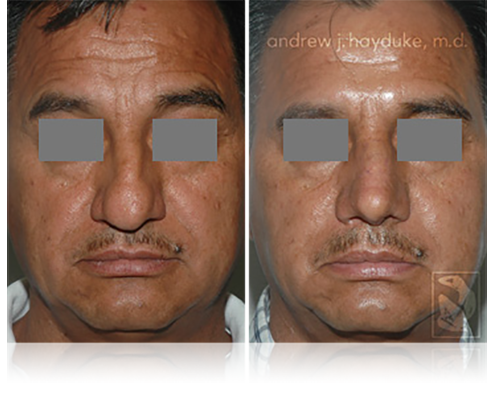 After surgery, his nasal tip is clearly more refined, more attractive and harmoniously blends with the rest of his face. 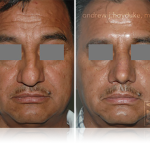 Closed rhinoplasty without any external skin incisions. 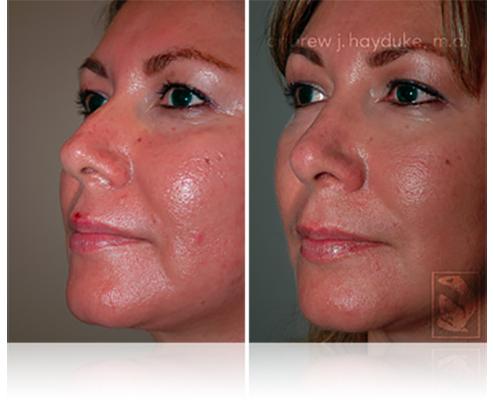 This client had a very small hump of the bridge of her nose that always bothered her. 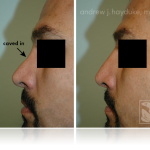 After surgery, note how the small hump was tastefully sculpted down. 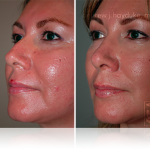 Although subtle in nature, this change improved her entire facial balance. 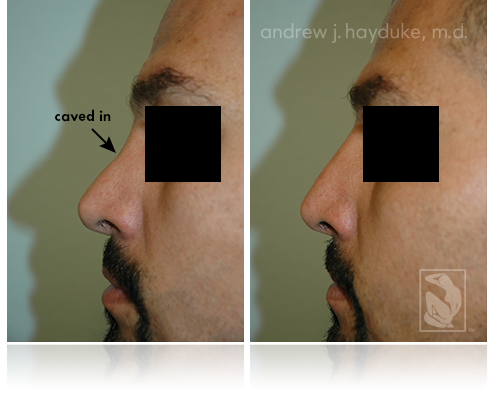 This client had several previous rhinoplasty surgeries by other surgeons before he finally came to Dr. Hayduke. 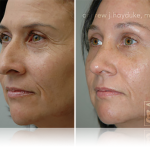 Unfortunately, those previous surgeries resulted in "caved in" deformity that the client wanted straightened. 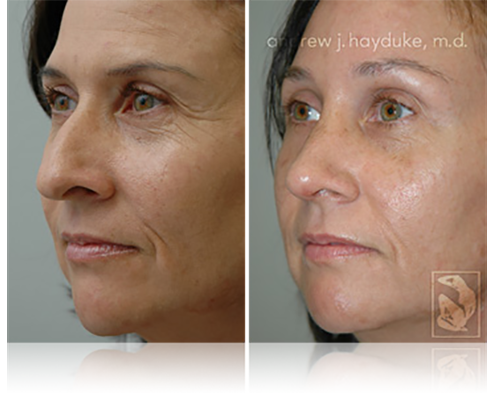 Dr. Hayduke fixed the "caved in" nasal deformity with the use of a nasal implant inserted via the client's nostril (no external skin scar whatsoever).